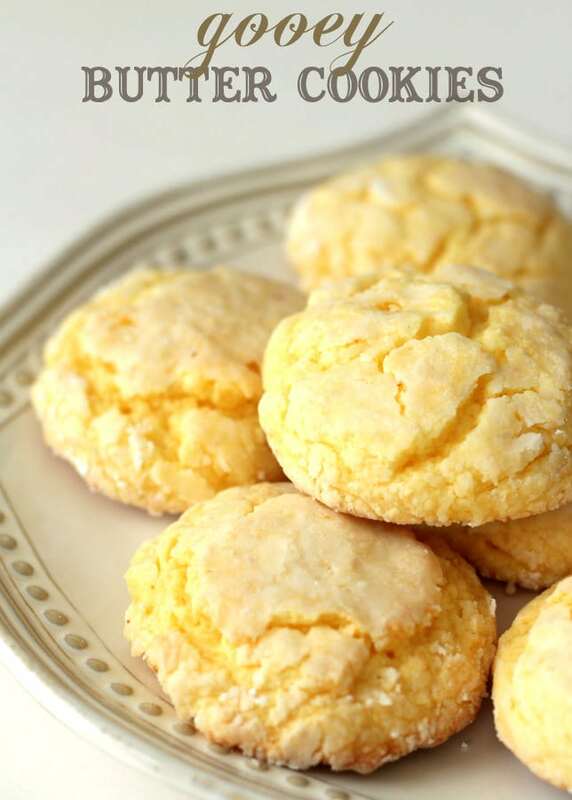 These Gooey Butter cookies are made with a yellow cake mix, butter, cream cheese, and a few additional ingredients. They are so gooey, chewy, and moist – it’s impossible to resit them! 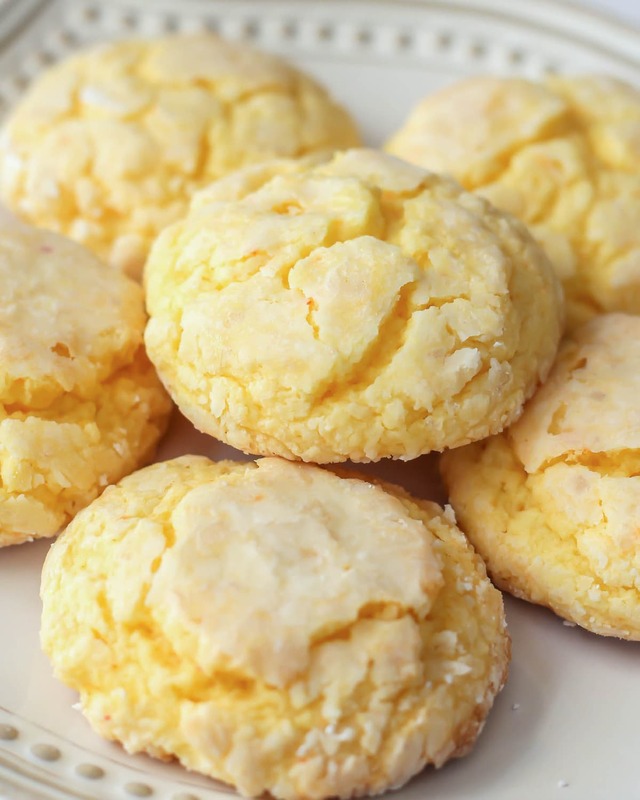 We love making cookies with the kids, and today’s recipe for Ooey Gooey Butter Cookies (aka Butter Cookies) are a family-favorite. They are made with cake mix, butter and cream cheese and are so soft and moist that I have yet to meet someone who didn’t like them. Another reason why I LOVE this recipe is because it can be easily changed up. Based on whatever cake mix you use, you can change the flavor up. You can also add candy and sprinkles on top or in the cookies which can take them to a whole new level. For this specific recipe, we always use a yellow cake mix, and just sprinkle powdered sugar on top right when they come out of the oven. The powdered sugar melts and lightly frosts the top of the cookie. 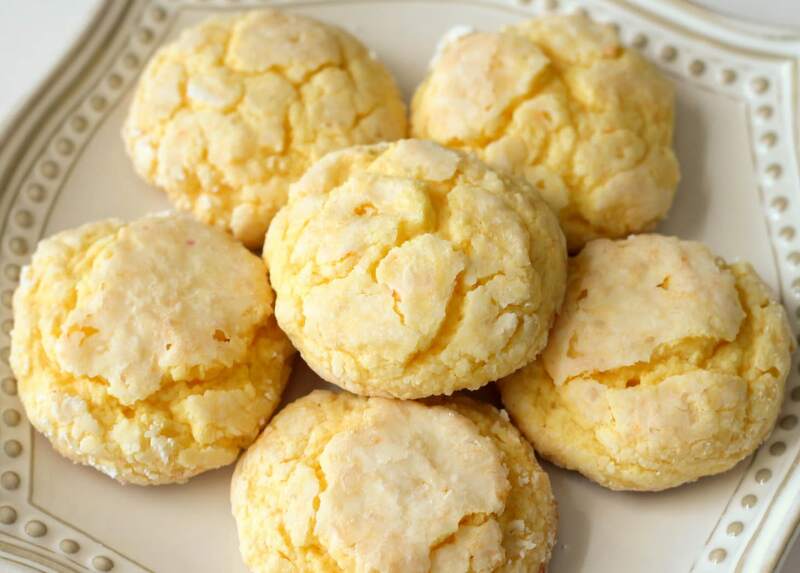 We love simple cookies and love that these yellow cake mix cookies are just that. To make them, beat butter, vanilla, egg and cream cheese until fluffy. Add the cake mix and mix until combined. Chill for 30 minutes. Once chilled, roll into 1 – 1 1/2 inch balls and roll in a bowl of powdered sugar. Place on cookie sheet and bake at 350 for 10-12 minutes. Once out, sift more powdered sugar on top if desired. Place on wax paper to cool. Before cooling and right when you take the cookies out, that is the perfect time to add candy on top. 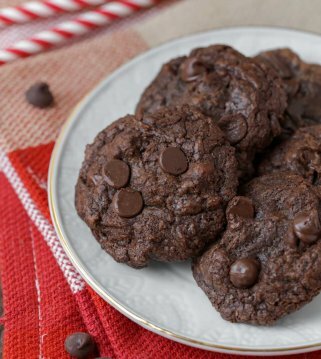 We’ve added Hershey’s kisses when we’ve made gooey butter cookies with chocolate cake mix, and they are amazing! Once cool, place ooey gooey butter cookies into an air-tight container and place on the counter for up to 3 days. They should take soft during that time period and although they have butter and cream cheese, they do not need to be refrigerated. Can you make a cake version of these cookies? I’m so glad you asked! You can, and it’s one of our favorites. We have a recipe for Gooey Butter Cake which usually similar ingredients and makes a delicious cake/bar version of these cookies. Check it out HERE. What are other Gooey Butter Cookie Variations? The possibilities are endless when it comes to the different kinds of gooey butter cookies you can make. This is partially because Betty Crocker and Pillsbury and Duncan Hines are constantly releasing new cake mixes, which means there are more recipes to try. Here are some of the other recipes we’ve tried using the same recipe but with a different cake mix, and adding a few toppings. 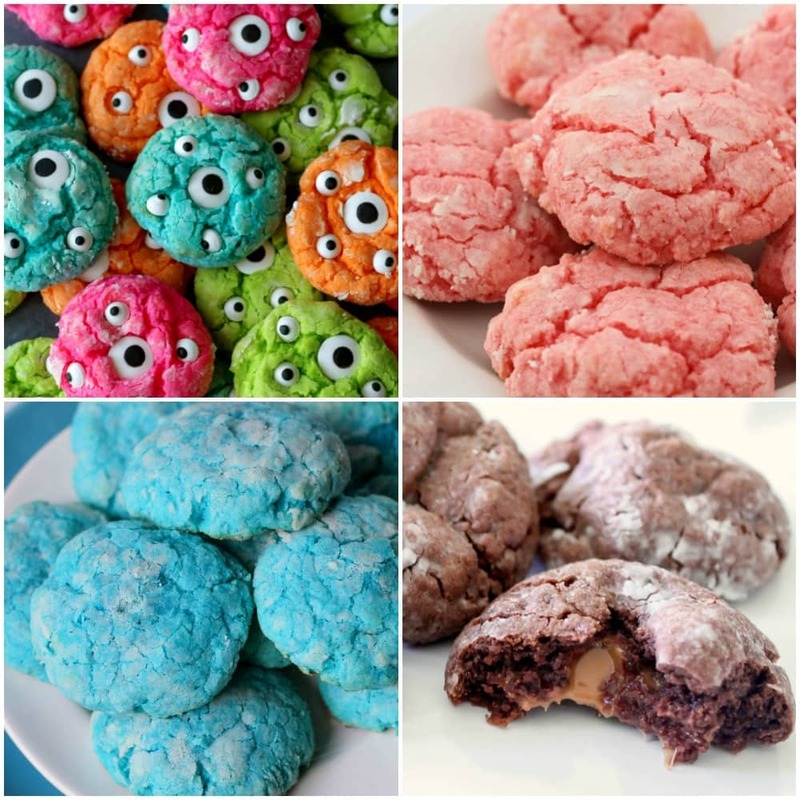 Gooey Monster Cookies – Dyed cake mix with candy eyeballs on top – perfect for Halloween! Butter Pumpkin Cookies – Pumpkin Cookies using pumpkin cake mix, which is a seasonal product. Pink and Blue Velvet Butter Cookies – used making Pink and Blue velvet cake mixes. 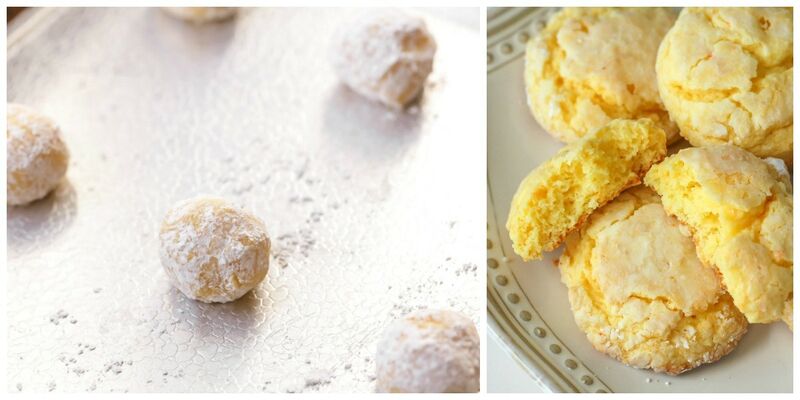 Whether you call them butter cookies or cake mix cookies, you know they are ultra yummy! These cookies are made with a yellow cake mix, butter, cream cheese, and a few additional ingredients. They are so gooey, chewy, and moist - it's impossible to resit them! Beat butter, vanilla, egg and cream cheese until fluffy. Roll into balls and dip in a bowl of powdered sugar. Bake at 350 for 10-12 minutes, and sift powdered sugar on top if desired. I want to try lemon! — have you ever added nuts or coconut? 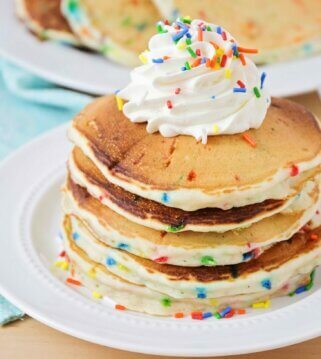 I haven’t but the lemon cake mix with coconut on top would be awesome!! These were a huge hit at work! Had plenty of people asking for recipe! I added white chocolate chips to them and yum!! I will definitely be making these again! Thanks so much for the recipe! I have made these and they are DELICIOUS!!!!! Love, love them. I have tried them with not only vanilla cake mix but strawberry, chocolate, lemon and mixed in chocolate chips, dried fruit, m & ms. Very versatile and always delicious! I just made these & they were so good! I made them small so 1 batch made over 60 cookies. Glad you liked these!! And glad you were able to get 60 out of it! Thanks for stopping by, and I hope you have a great day! I made them and they were great! I love lemon so I made them with a lemon cake mix super good! Just pulled a batch out of the oven….oh my, soooooo very good, and I’m not easily impressed!!!! Impressed now!!! Super easy as well. Am actually putting this one in my family cookbook!!! Do you soften the butter or cream cheeses before you mix them? Or let them be at room temperature before you mix them? Thanks! They look sound so good! I am considering making either the original butter cookies, or the chocolate rolo ones. Which do you guys like better? These cookies are the best cookies I’ve ever had. *had. I made them yesterday and now they are gone. 🙁 Haha but thanks so much for the recipe! I dont ever want to make cookies again unless they are these lol!!! Do you dip/roll the whole ball in powdered sugar before you bake it or just one side? I honestly don’t know how many cookies this recipe makes because me & my husband kept eating them as I pulled them out of the oven! Such a great, simple recipe and the cookies were not overly sweet. 10 minutes left my cookies a little too gooey (so I baked them for 12 minutes) and the texture was perfect! If anyone is a fan of cream cheese, they will adore these cookies. Made these for a bake sale that my daughter’s Girl Scout troop is having today. 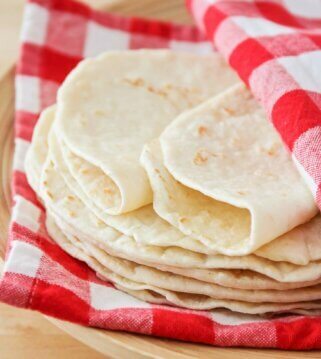 These are so good, so soft and so easy to make. These will definitely be on my go-to cookie list. 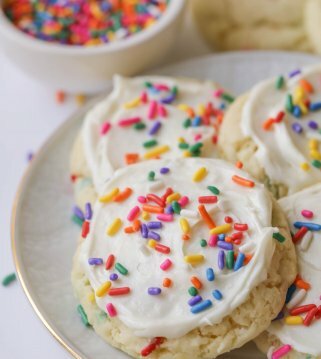 I made these cookies using holiday funfetti mix – so cute and such a hit! These look so good! I have a box of white cake mix on hand…any chance that would work? OMG! Just took them out of the oven and tasted them….Absolutely heavenly! Thank you so much! YAY!! So happy that you like them. Have a great day!! I’ve used homemade cake mix and I’ve put some lemon zest…cant stop looking at them! After you roll them into a ball and coat them with powdered sugar do you flatten them out? Or just put them on a baking sheet like that? Doing cookie trials for upcoming holiday cookie exchange party next weekend! My son and I are getting ready to make the Gooey Butter Cookies and the Chocolate Gooey Cookies, except we are going to put little mini Reese Cups in them. Just waiting for the cream cheese and butter to come to room temp. Can’t wait as they look so delicious in the picture! Thanks for posting and sharing this recipe! Curious to know how these turned out?? 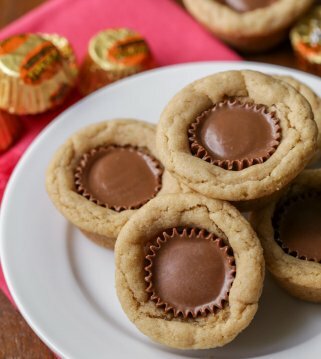 A mini Reeses Cup in them sounds amazing!! I’d like to make these for Christmas. I was wondering if they freeze well? To be honest, I’ve never tried. :/ Wish I was more help! This is a few years later…but did you end up freezing these? I would like to make them and freeze for Christimas. I’m going to make the butter gooey ones for my cookie exchange at work. They sound wonderful! Do you use pure vanilla or vanilla extract? Just checking because it just says vanilla. Thanks! 🙂 I’m excited to make these! Made these last week for work, huge hit! They taste just like old fashioned glazed doughnuts! When you bake them with the powdered sugar it turns into a glaze like texture! Making them again this week, and the chocolate rolo ones! Thanks for a great recipe! You’re welcome, Becky! So glad they were a hit. You’ll love the chocolate version too! Which brand of cake mix and cream cheese do you use? HI! I wanted to tell you I made these cookies this weekend and they are to die for! I made them with gluten free cake mix, though. You would never know it is gluten free. They are still soft and gooey. Thank you so much for this recipe. I will be reblogging this recipe with the gluten free changes this week. Thank you! Thank you! Thank you! These are so good!! I love that they are easy. My daughter who is 3 loves to make cookies. I love that she want to bake but I am legally blind so most of the time it is had for me to measure out everything that is needed. We made these without any trouble!! So thank you again!! I know this post was a long time ago but I just had to comment that this is really a great recipe. We have used different flavor cake mixes and added different things in the middle of the cookies (peanut butter, marshmallow fluff, nuts, chocolate chips etc. depending on the cake mix we choose) I love that this recipe is super easy for my 7yr old to make as it doesn’t use tons of liquid ingredients. We use the recipe exactly as written and just change up the cake mix for a different flavor each time. Our grocery store was out of cream cheese last time so I grabbed the Neufchâtel cheese and it still came out perfect! 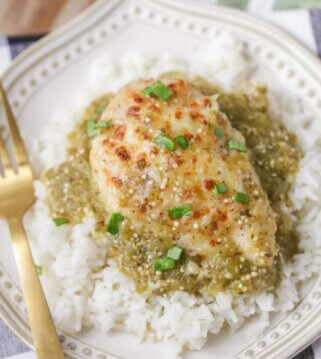 Thank you so much for a great recipe that has become a family favorite! Your comment totally made my day. 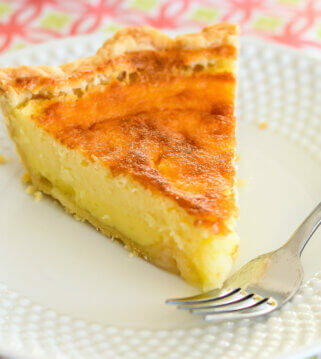 So glad I could share a family favorite recipe that could become a family favorite for you too!! Thank you for stopping by!! Okay, I do not bake much. I need to take cookies to church carnival. I assume you do not mix the cake mix up as the directions on the package. Do you add it dry to the cream cheese mixture? So these are just like Paula Deen’s gooey butter cookies, huh? I made these cookies today using lemon cake mix. I have made other versions of cake mix cookies before but this is by far the best one yet. They are fresh tasting, deliciously lemony and slightly tangy. This will now be one of my go to recipes and I look forward to trying other flavours of cake mix soon. My family liked them so well that they are already gone! Next time I’ll have to make a double recipe. Lemon is definitely a winner. Thank you so much for sharing! Saw this recipe earlier today just had to make them today! Hubby loved them and I thought this would be a great base for Strawberry shortcake and it was absolutely amazing! My new go to recipe! Just found this on line and want you to know at Weight Watchers last fall one of the members shared something similar. We used a spice cake mix (or carrot cake or similar) with one can of pumpkin and that’s all. It was very good and so low in WW points. Thanks for your version, I will try it next time! 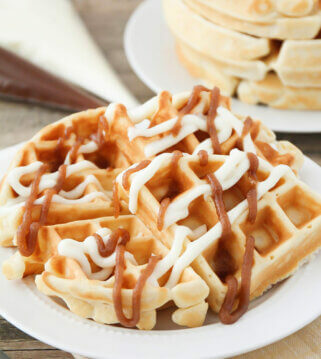 Would love to make them, but there is no recipe? Well, I can’t see one :(. Can you help me? please? I’m not seeing the recipe on here either. I’ll try to go to one of the other gooey cookie recipes you have. Just wondering add the cake/powder mix dry? Don’t make it beforehand? Hi I have a box of macaron mix. Can I use that? Found this recipe via Pinterest! Any chance you’ve made a version without cream cheese? I think they sound wonderful but I really really hate cream cheese! I made these last night and while I was happy with the outcome, I had a really hard time getting the cake mix mixed in to form the dough. Do you use a stand mixer or add a little at a time or anything special? My hand mixer couldn’t handle the job and I ended up having to knead it with my hands. Hi Sally! I’m so sorry you had problems. They shouldn’t be rubbery at all, but soft and cake-like. Was your cream cheese softened? THEY LOOK WONDERFULLY DELICIOUS. I MADE THEM IN THE LEMON FLAVOR. These are my favorite at Christmas! Always a crowd pleaser… i add white chocolate chips.. the best! Oooh – can’t go wrong adding white chocolate chips!! Just seeing this. How did the cookies turn out. Mine are usually about 1 1/2 inch diameter. They turned out great! Each cookie were about 3″ in diameter after baking. As for the baking time, it ended up to be 16 min. We’ve also tried the chocolate version with the rolo inside. My daughter and my mom preferred that, but I personally like this better :). Thanks! 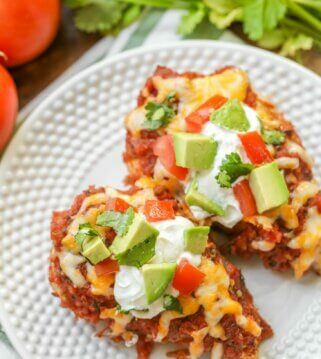 I want to try this recipe but i would like to know if there is any replacement for egg.i mean what change do i make in the recipe if i dont want to make it with egg. A couple of questions, how many cookies per recipe and also, is the butter softened or melted!? Thanks so much, these look delicious, especially the pink for a spring bridal shower! Are these cookies only made with cake mix? What flour etc to use instead of cake mix? The whole box of yellow cake mix? What for do you need the Yellow Cake Box Mix? What’s inside? maybe I can buy something similar in my country. Do you think I could freeze these? I would like to make some funor my daughters wedding reception, just won’t have the time the day or two before to bake. If so, how long do you think tgey would hold up in the freezer? Is is possible to turn this cookie into a mini cupcake.. I’m suggesting going through all the steps down to the rolling in the powdered sugar and then instead of putting them on a cookie sheet, put them into mini muffin (or tea cake) pans.. any thoughts.. I have everything read to go but would like to make a little teacake rather than a cookie.. thanks. I actually did it.. in Mini-Cupcake/Teacake tins. and it worked.. not really gooey.. but made the process much simpler than regular cupcakes.. used a small scoop but really likely not small enough just to do a teacake, so they look like mini- big top muffins. I used a vanilla cake mix and a lemon cake mix combined.. added a little Lemon essence (as well as the vanilla) and the powedered sugar made a nice crust on top. I just made these yesterday. 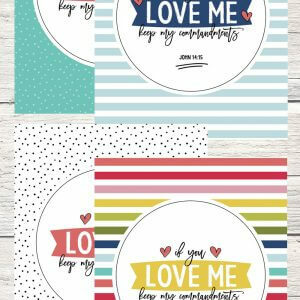 My husband’s verdict – he’s leaving me for them. Beyond buttery, gooey and delicious! Hi, cant wait to make these, but I do have a question. Should the cream cheese and butter be at room temperature or out of the fridge and still firm? I just made these cookies and followed the exact recipe except added white chocolate chips and macadamia nuts and they were a hit by all who ate them! Very happy I found this recipe!! Trouble with lumpy not fluffy batter??? My daughter is a junior in high school and the juniors put on the prom for the seniors and this weekend is prom. I volunteered to make cookies. I wanted something other than your run of the mill cookie but I also wanted easy, so of course I turned to pinterest where I found this recipe. Last night I did a trial run and I have to say they are delicious and they turned out perfectly!! I used the funfetti mix to make them look fun for prom. We ate some right from the oven and knew we found the right cookie. I do have to say that we had one this morning before school and it was even better after it had set up. They are not overly sweet and they are so delicate and pretty. Tonight when I make the cookies I may add more sprinkles to the batter for more color. I am so glad that I found this recipe and I know I will be making them again and again in many variations! Thank you so much Kathy!! These would be perfect for prom!! We love these cookies so much and you’re right, they taste even better after they have set. They stay so soft! Thanks for sharing and hope they’re a hit! Wondering if I could freeze them? I haven’t personally done that, so I wish I knew for sure how’d they turn out. You could possibly freeze the dough and not the cookies. Let me know what you do, I’d love to know. Its Look Amazing …!!! I will Try Next Week ..!! Thanks Linda!! They are a favorite!! Hope you like them!! How do you tell when they’re done?? I put three trays in the oven at the same time (I made the monster cookies, so cute! ), which at least in my oven always slows down the baking time. But I can’t tell when to pull them out…. If they are still jiggling in the middle, you know they aren’t done. The bottoms get a little brown, but I like mine at the lowest amount of time, rather than longer. I prefer soft cookies, over crispy. Now, since three trays are in, it may take a little longer! Hope that helps! How many cookies does the recipe make? So excited….using devils food cake & making them for a cookie party tomorrow!! It makes close to 3 dozen 🙂 Those will be delish with devils food!! Have fun! I made them using a gluten free cake mix. They turned out fantastic! The folks I made them for did not have high dairy intolerance so the cake mix was the only substitution needed. So, glad they turned out!! Thank you for sharing that! LOVE these cookies & EVERYONE else LOVES them also!!! So buttery deliciously perfect. They are always a hit!! Thank you so much for letting me know! The recipe tutorial on Facebook shows two sticks of butter…the acftual recipe calls for 1/2 cup of butter (one stick). Which is correct? It is 1/2 c 🙂 Thank you! This could make 3-4 dozen. Now, if you make big ones, you’ll get less. This is a great recipe when you need more than a couple dozen. Hope you like these! Gooey Butter Cookie recipe, video shows 1 cup of butter, recipe says 1/2 cup. which is correct. Can you freeze the individual cookie balls and bake just a few at a time so you will always have fresh warm cookies? Can you freeze these? I want to make them ahead but not sure how long they last. I have not tried. I wish I knew for sure. I think freezing the dough would be ok, then you can roll them into the powdered sugar before baking them. I just don’t know how long they’d last. The video shows 2 sticks of butter (1cup) ….. the recipe says 1/2 cup which is 1 stick…which one is correct ? Is it salted or unsalted butter? I just made these cookies using an orange cake mix. I sprinkled them with purple dusting sugar. They look and smell delicious. My son is getting married in a couple of days and I’m having them a Clemson tigers rehearsal dinner. These will be a great part of my dessert bar, if they make it to Friday. That sounds great! How fun! I love weddings! They will be a hit! You need to list nutritional information for all of your recipes. Diabetics have to have that information. No, you didn’t. It is a little sticky, before you roll them in the powdered sugar, but not too sticky. I’m glad you liked them! Hi. My cookie dough is really soft. Is that the way it should be? can you use any flavor extract? I love anise and would use it instead of vanilla. I haven’t tried, but you for sure could 🙂 Let me know how they turn out! Your video for gooey butter cookies shows using 2 sticks of butter. Your recipe asks for 1 stick. Which is it? I want to make them today. Sorry, it’s just the one. Thank you & hope you like them! Thanks so much! Hope you like the ones you try! I always use unsalted butter when baking 🙂 ENJOY! In the video they use sticks of buttter which is a cup and the recipe says half of cup. Which is correct? It is just one stick 🙂 Sorry for the confusion! ENJOY! Looking to make the Gooey butter cookies. The FB video shows 2 sticks of butter, isn’t that 1 cup and the recipe calls for 1/2 cup. Is the video a double batch? OMGeeeee! These r the bomb! I agree, they taste like a glazed donut. Can’t wait to try different cake flavors! Thank you for the recipe ????✌???? You are so welcome!! They are one of my favorite cookies! Nope, that is the right one. Did you make the cookies? Thank you for responding. Yes I made the cookies and they were delicious and gooey just the way i like them. The recipe says 1/2 cup butter but the video shows 2 sticks going in making it. So is it 2 sticks or 1 stick of butter? They are perfect for everything!! They are the best! I have not tried freezing them. I would make a batch & test them out, to see how well they are after freezing them. They really are easy to make, so maybe you could make them when you need them, then freeze some? Can I use all purpose flour for this recipe? There isn’t flour in this recipe. I haven’t tried adding it before. I’m not sure how they would turn out if you added it. What did you think? I hope you liked them! They are some of our favorites! your video shows beating two sticks of butter with the cream cheese. the recipe calls for l/2 cup butter which is one stick.??????????? It’s the one. That was doubled. Sorry, for the confusion! Thank you! 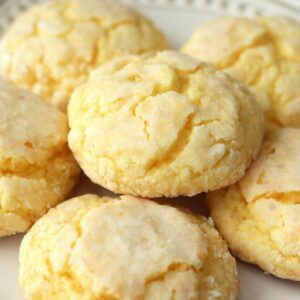 I want to make the gooey butter cookies without using a cake mix. Do you have any suggestions? 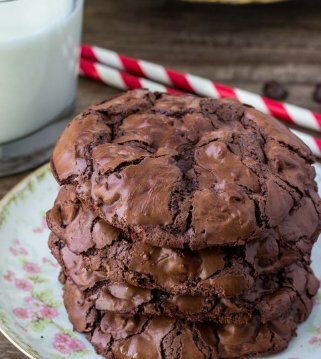 These cookies are super yummy and make the perfect dessert! I could eat them all the time! I took these to a church function & the ladies couldn’t get enough! i had so many wanting the recipe. I am usually a chocolate person, but these are right up there with them. they are super soft & melt in your mouth! these are some of the most tasty cookies I have ever had! i’D LIKE TO MAKE THESE COOKIES FOR MY GRANDCHILDREN. iS THE CREAM CHEESE TASTE OVERPOWERING? I plan on making these early next year. I’ll let you know what my grandson and granddaughter think of them. Thank you for such a quick response. Have a Happy Holiday. I am not Vegan, and most vegan food I have tried I haven’t really cared for, but these turned out really delicious! Since It is Christmas time, I used red velvet cake mix. Very festive! I also made the cookies using your recipe with chocolate cake mix. So yummy!! Thanks for sharing your recipe!! Sounds perfect!! I am so glad to share 🙂 Thank you for letting me know! Nope, one it is 🙂 I sure hope you liked them! Can these be made without the cream cheese? 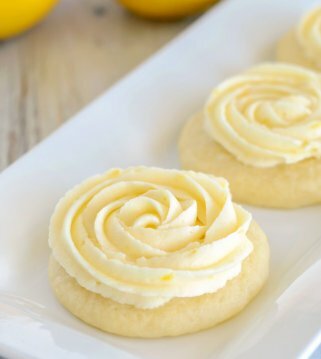 Looking for more of a butter cookie and don’t want the cream cheese or sugar to over power the butter from it since the recipe doesn’t call for a lot butter. Tried a butter cookie recipe for Christmas eve and there were terrible, trying to redeem myself. Thank you. I have not tried making them without the cream cheese, so I am not sure how’d they turn out. You could find a substitute if you google cream cheese substitutes in cookies? The video shows 2 sticks of butter but the recipe only calls for 1 stick. Can you clear up this confusIon? It is 1/2 cup 🙂 Enjoy! These cookies are absolutely delicious. They would also be good with some lemon, gooey lemon butter Cookies. Oh, yes!! Thank you for sharing that! I haven’t tried making them without. I know it will change it a little. But, you definitely don’t have to. Just took these out and they are amazing. I live in a gluten free household and this recipe works well with a gluten free mix. i added mini chocolate chips and it is perfect. Thank you for sharing. I am looking foward to adapting and making all kinds of flavors of cookies with this recipe. my husband, and grandkids are excited to have good cookies in the house. 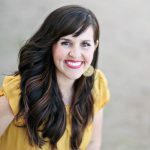 Yes, there are so many ways to change these up! Glad you liked them! Made these and my family loves them. They are light and fluffy yet decadent. I’ll definitely make them again. They are one of our favorites!! Glad your family liked them! Thank you! They are really good !! Glad you like them!! Thank you so much!